If you know me in real life you know that I have been talking about this haircut for a good three months now, which also explains why I had so much cut off, but we will get to that. For those who don’t know, DevaCurl is a brand that makes hair products specifically for those with curly hair and they also train stylist to cut curly hair, using their unique Deva Curl Cut technique. 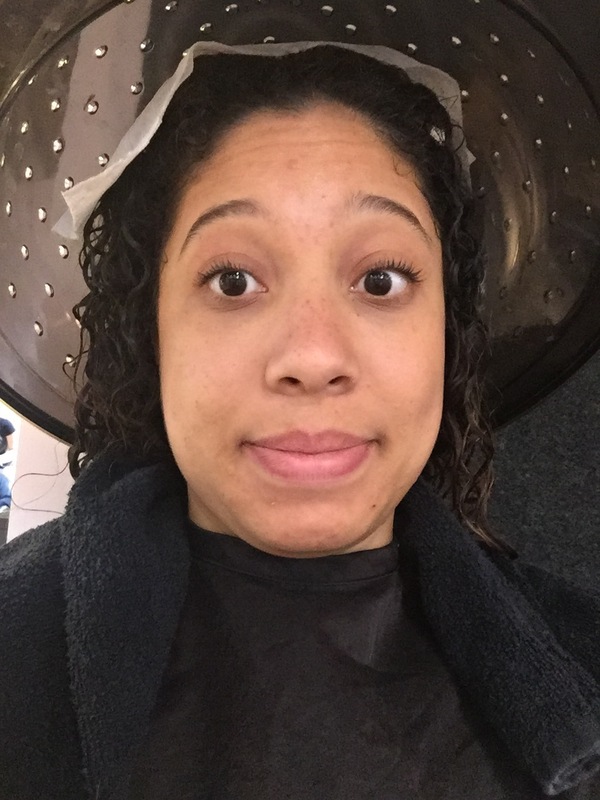 There is salon in town that has DevaCurl certified stylist (find a stylist near you), but I kept putting it off. When I went home over break my mom kept telling me that I should just get it done there, but I was too busy basking in the fact that my hair was currently as long as it has ever been, despite the fact that my ends looked #raggedy. So, when I got back to school I stopped second guessing myself and made an appointment. The DecaCurl cut is a 3-step process. I sat down in the chair and we had a little consolation about what I wanted. She asked if I wanted to keep my length, with which I answered yes, but I understood that my ends were bad and needed to go. So with that, she starts cutting! Okay so the dryer, something we are all familiar with. They stuck some clips at the top of my head in order to give me some volume, but otherwise thats it. I just sat. Here is the finished product! After the dryer, I sat back in the chair and my stylist finished off the cut giving me additional layers and making sure everything was even. While she was finishing the cut I just went for it and had her take more off than originally intended, but I really like it! The length is not bad and it just looks a lot healthier in general. Honestly, I am just waiting for my color to grow out because it has really messed with my curl pattern but that is another story. I hope to get back on a normal schedule regarding trims and then when all my color is gone I’ll probably resume trying to grow it out again, but this time I will try to do it the healthy way. All in all the haircut was $80 dollars, which may seem a little pricey but it’s only a little more than what I used to pay for my hair appointments once a month. 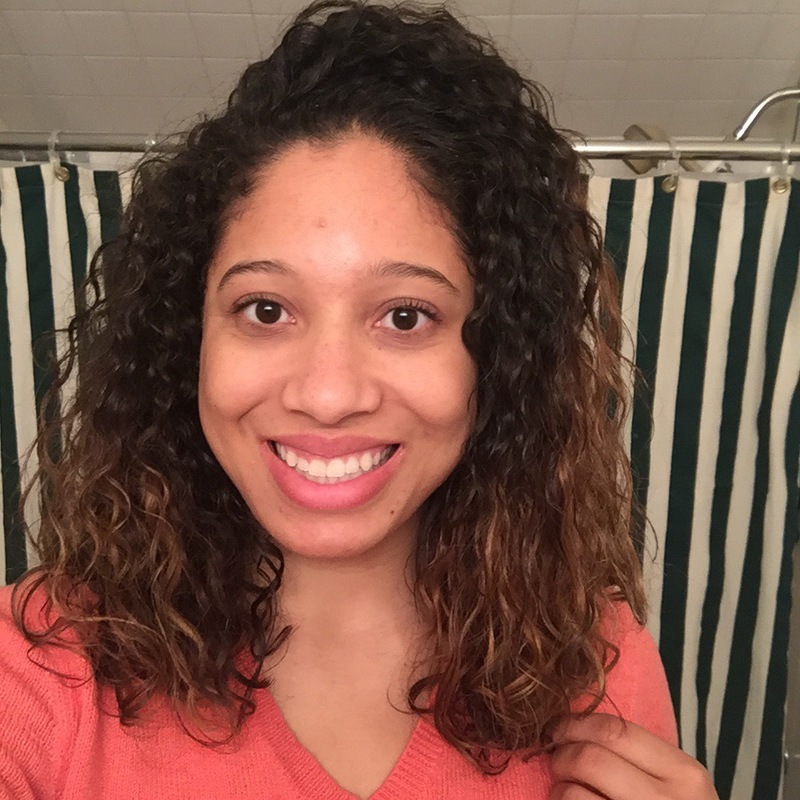 Have you ever had a DevaCurl cut? Do you use their products? Which is your favorite? !